North America’s largest Buffalo Jump, the famed Lewis & Clark expedition, world basketball champions, America’s cowboy artist, and more. You can experience the history that shaped Montana, the West, and the artistic culture of America. Hundreds of years ago, when the Chippewa, Blackfeet, Little Shell, and other tribes settled in Central Montana, the Buffalo were essential to their way of life. In Ulm, 7 miles south of Great Falls, stands North America’s largest Buffalo Jump. The bison jump site consists of a mile long sandstone cliff and today there remain remnants of drive lines on top of the cliff. First Peoples stampeded buffalo over the mile-long cliff. Now, the top of the jump provides expansive panoramic views of the Rocky Mountain Front, the Missouri River valley, and the buttes and grasslands that characterize this High Plains setting. Today, Powwows are held here, in addition to workshops, festivals, art shows, and more to help you understand and appreciate the history of this sacred site. Lewis and Clark were the first known white explorers to catch sight of the Great falls of the Missouri River. Hearing the roaring of the falls more than 7 miles away, they knew they were in for a challenge. Thanks to the 5 falls of the Missouri, the Corps of Discovery was forced to portage around 18 miles of impressive waterfalls for nearly a month. Before the expedition left in July 1805, they celebrated the Fourth of July at White Bear Island. Today, you can stand where they walked by tracing the portage route of their expedition. 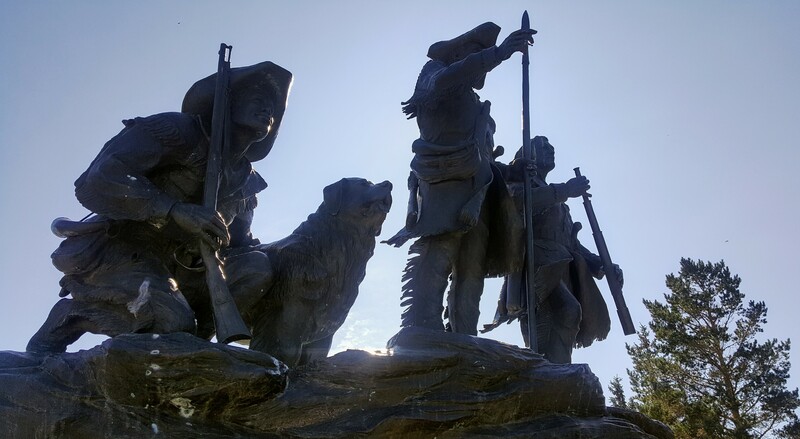 The Lewis & Clark Interpretive Center holds North America’s largest collection of artifacts, information, and exhibits of the route from St Louis to the Oregon coast, and back again. Every summer, the Lewis and Clark Festival brings to life the expedition. Actors re-create the adventures of the Corps of Discovery and talk about their life along the Missouri. Included in the Festival are historical demonstrations, a Bluegrass concert, Native American dancers and drummers, children’s activities, and more! Over the next 75 years, westward expansion continued and with it, Paris Gibson came west in 1882. He envisioned a city built around and with the mighty Missouri. The two made plans for a city that would cater to the expanding railroad and hydroelectric industries. While organizing the town, Gibson set aside 886 acres for city parks. 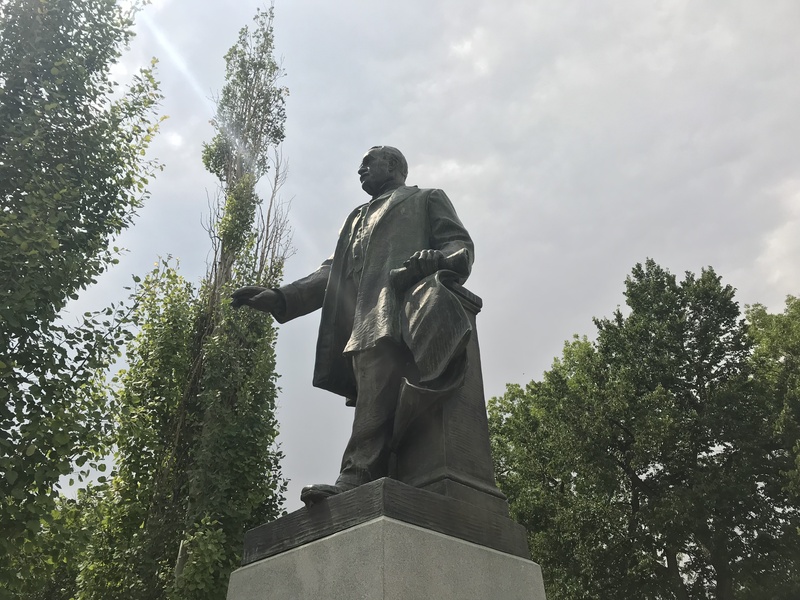 Gibson believed beauty was important in a city and personally made sure that elm, ash, and fir trees were planted on every street and boulevard, making Great Falls Montana’s first tree city. Today, you can see the legacy Paris Gibson left the city, from the 5 hydroelectric dams, to the Paris Gibson Square that now houses modern art. Marvel at the ever-changing displays that spark conversation, inspiration, and laughter. 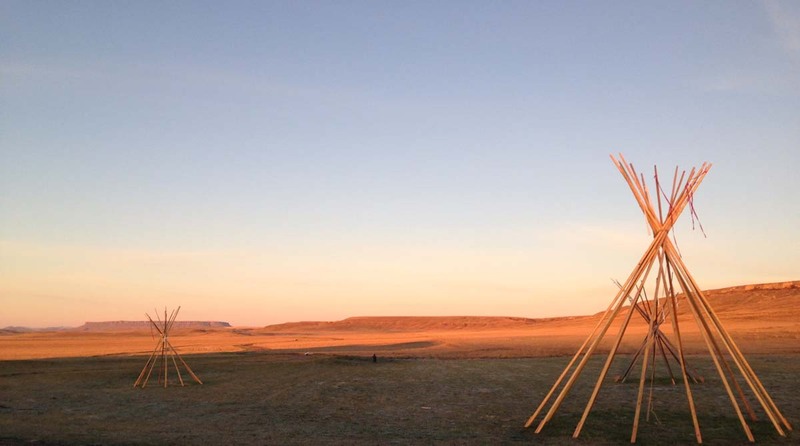 24 miles west of Great Falls lies Fort Shaw, a storied part of Montana history. 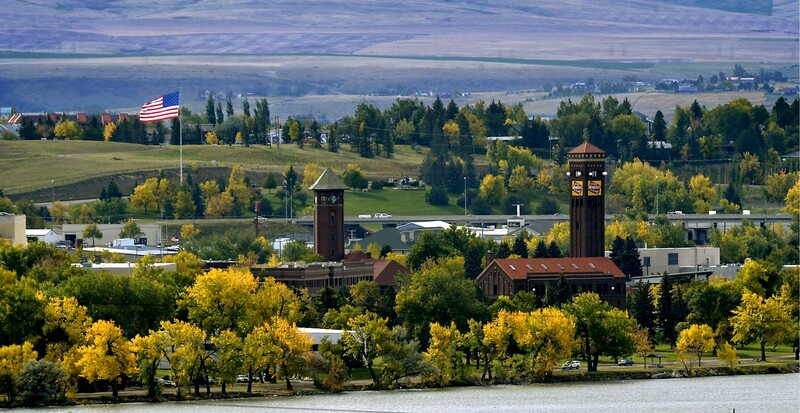 Built in 1867, Fort Shaw has gone through many lives during its 150-year existence, most notably in 1904 when the school became famous when its girls basketball team won the World Basketball Championship at the St. Louis World Fair in 1904. Today, you can see the uniforms, ball, and more from that victory at the History Museum. 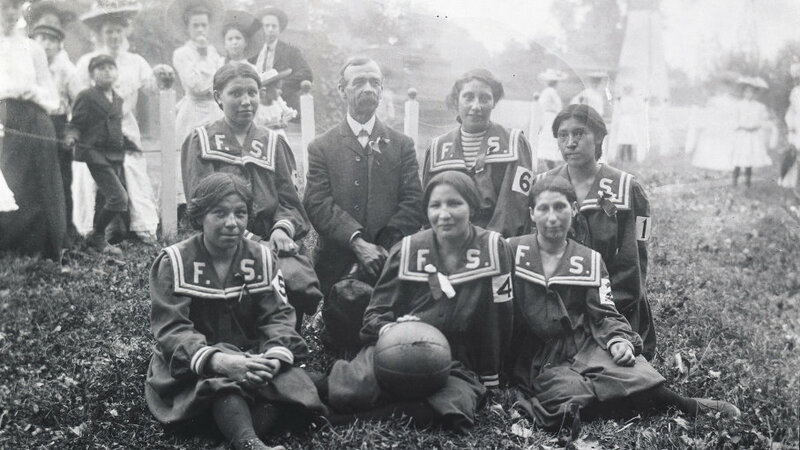 As Great Falls was grew during the 20th Century, its culture was changing. Developing first as an agricultural hub, then industrial powerhouse, and into the very vision of the West in the early 20th Century. 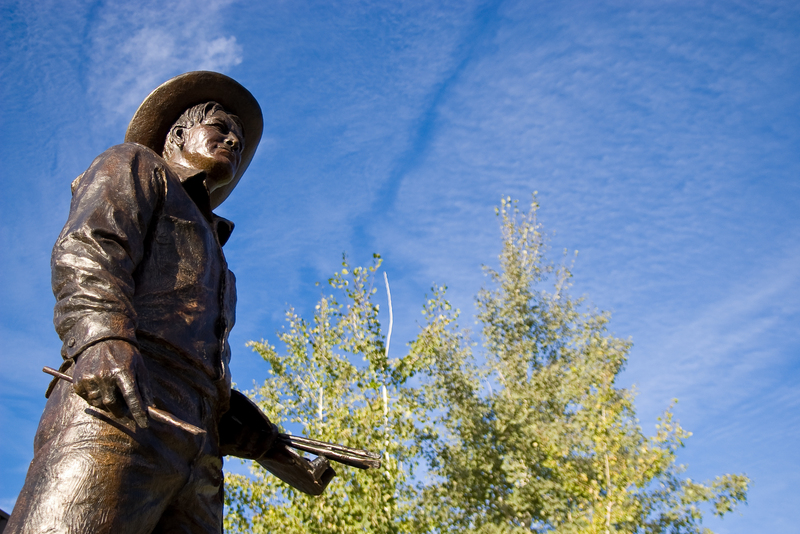 The man responsible for this romanticized version of wind-swept prairies, battles between cowboys and Indians, and the struggle between animal and elements was the Cowboy artist CM Russell, who made Great Falls his home after working as a ranch hand. 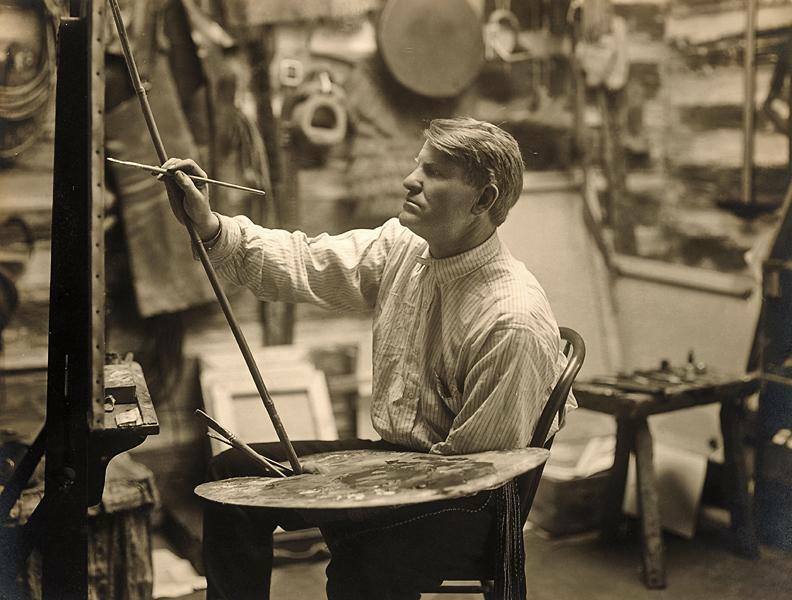 From his home and studio in downtown Great Falls, he created works that hang in homes and offices around the world, with the largest collection on display at the world-famous CM Russell Museum. Marvel at the work of this artistic genius whose works included oil paintings, sculptures, and story telling. After WW1, Great Falls appealed to the War Department for an Air Force Base. With the arrival of WW2, the air base plan become a reality as construction began on what would become Malmstrom Air Force Base. 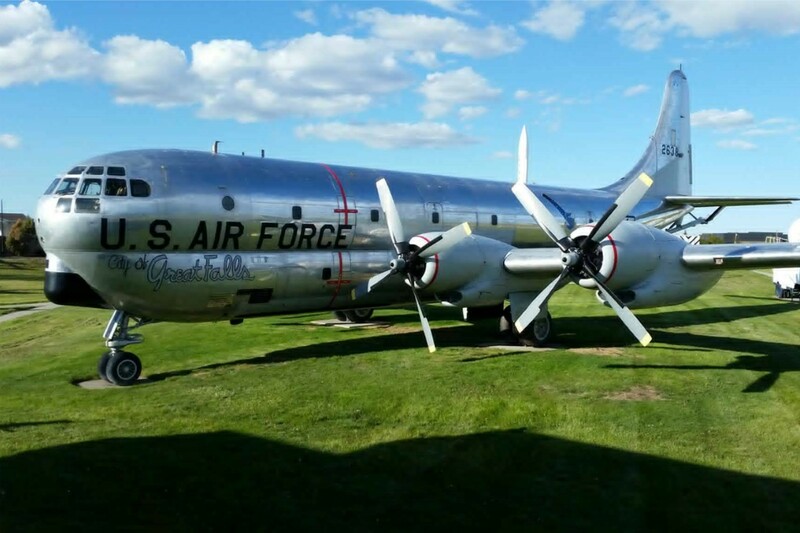 After WW2 ended, Malmstrom Air Force Base was the training ground for the Berlin Airlift humanitarian effort. Nearly 8,000 aircraft flew between Great Falls and Fairbanks to deliver air equipment and supplies to the Soviet Union between 1942-45. The base continues to be a strategic national defense location with Minuteman III ICBMs and a stationed combat engineering squadron for military and humanitarian operations worldwide and today, you can tour the museum that showcases uniforms from the Corps of Discovery to today. History comes alive in Great Falls, and around every corner is an opportunity to learn more. From the historic homes, the railroad lines that criss-cross the city, the remains of the Big Stack smelter and more, the past is interwoven with the present in this vibrant city waiting to be discovered!